The Zoom G1XOn is an extremely powerful multi-effects processor that has a huge range of variable effects and amp models allowing it to be extremely versatile whilst remaining compact enough to fit into a gig bag. Perfect for guitarists looking for an all in one effects processor that also includes a tuner, looping features and expression pedal for realistic effect simulation such as WahWah. 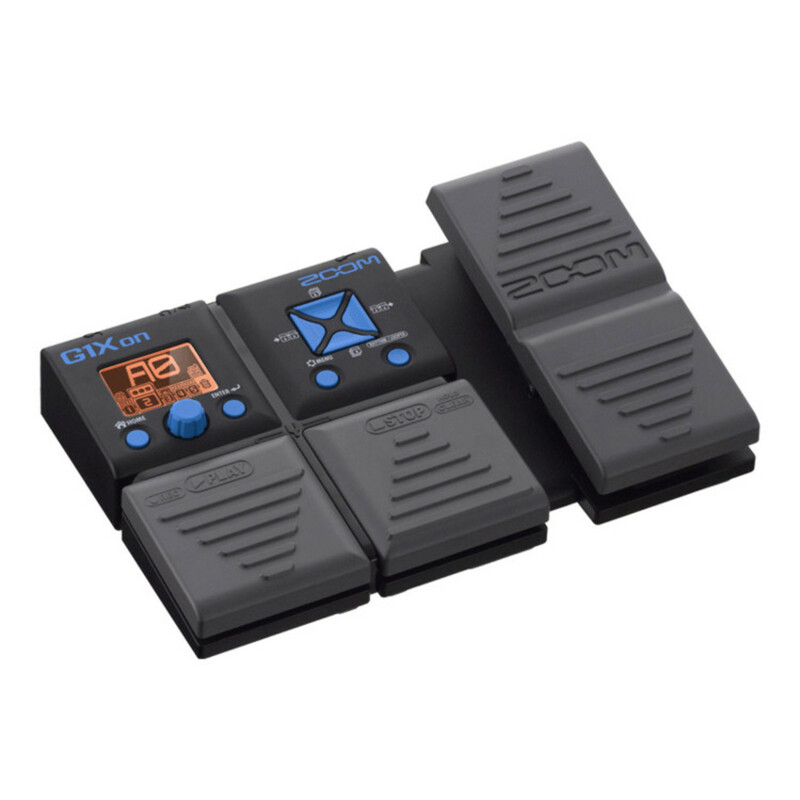 Finding and saving your ideal guitar tones is now simpler than ever with the Zoom G1XOn. With a total of 22 on board amp models complete with adjustable parameters such as gain, tube and level and a range from clean Fender amplifier tones to extremely high gain tones like that of the Krank Revolution. Featuring 83 different stomp box style effects such as compression, noise gate, graphic & parametric Eq, variety of filters, pre-amp booster, distortion, tremolo, phaser, chorus, reverb, flanger, delay and WahWah (controllable with expression pedal) just to name a few. 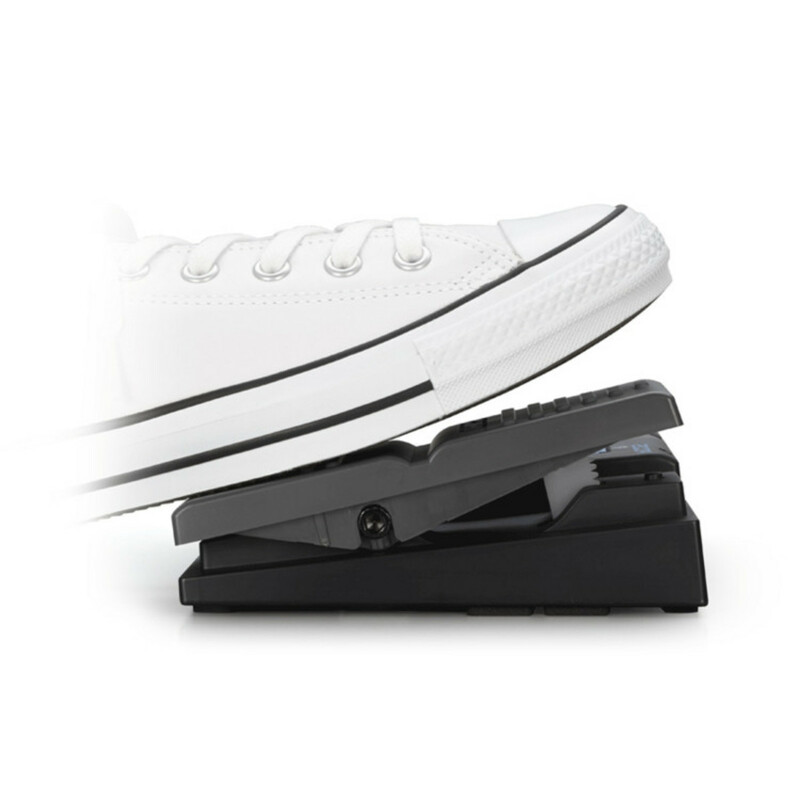 Effects can be added into a chain of up to 5. 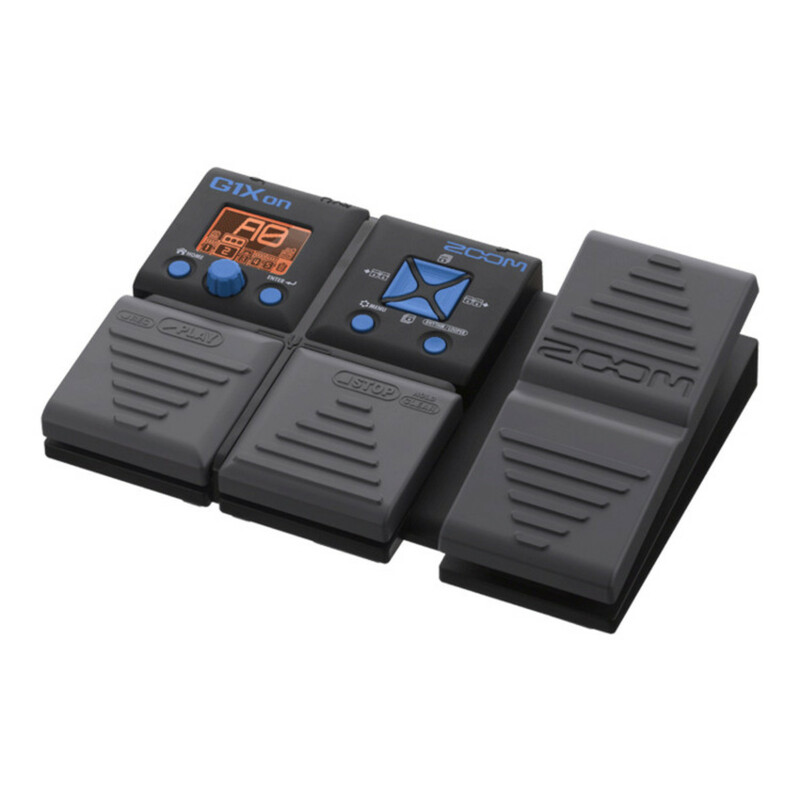 Designed with practicality in mind the Zoom G1XOn also has a built in tuner which is displayed on the LCD screen and can be accessed swiftly at any point by simply pressing down both foot pedals simultaneously. 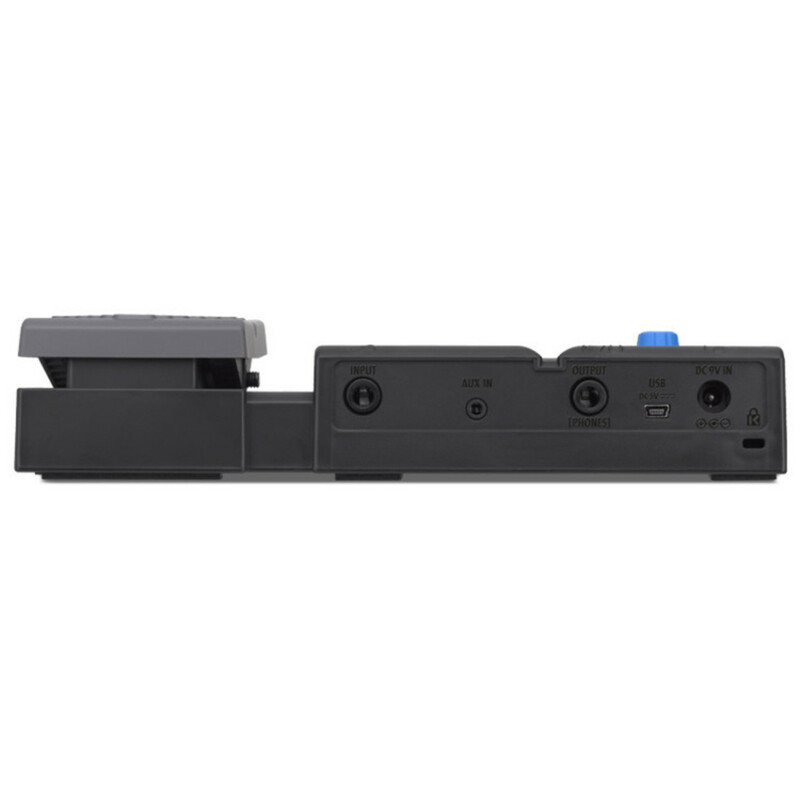 Also featuring options to bypass inserts when tuning or to mute the signal completely to allow for silent tuning. 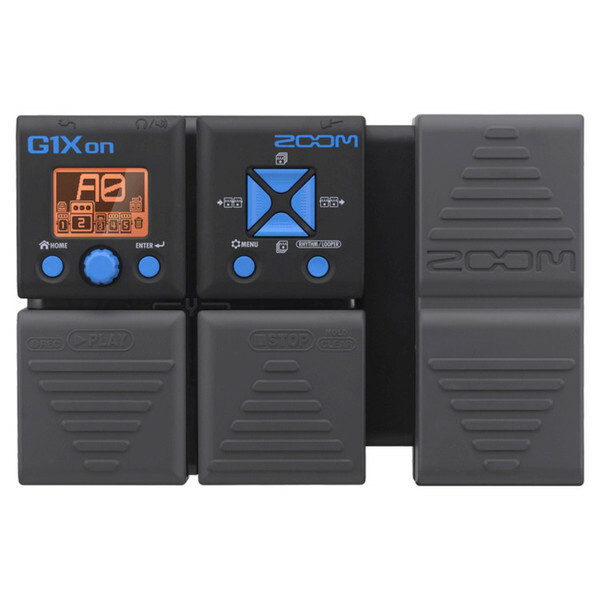 Another great feature of the Zoom G1XOn is the ability to record and play back loops of up to 30 seconds and to layer upon them creating small audio segments in 16-bit quality. Or if you just want to play along to some rhythm tracks there are 68 pre-recorded drum grooves that range in style and genre.